Looked in ODM, refreshed it, no beta; no beta on my products page, or downloads. 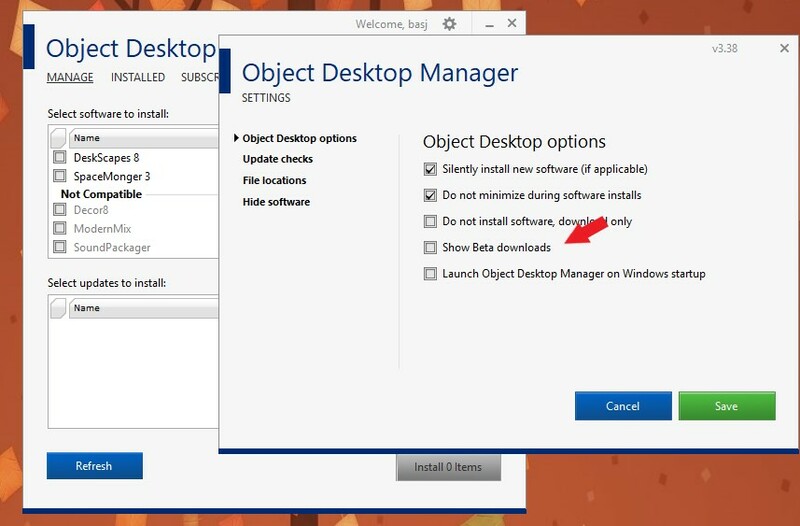 You should check if "Show Beta downloads" is selected in Object Desktop Manager Setting. Click the cog wheel, top right, select setting. sorry so long in getting back to you. Thanks!